We have started to get arrangements underway for Manston’s Centenary celebrations next May. 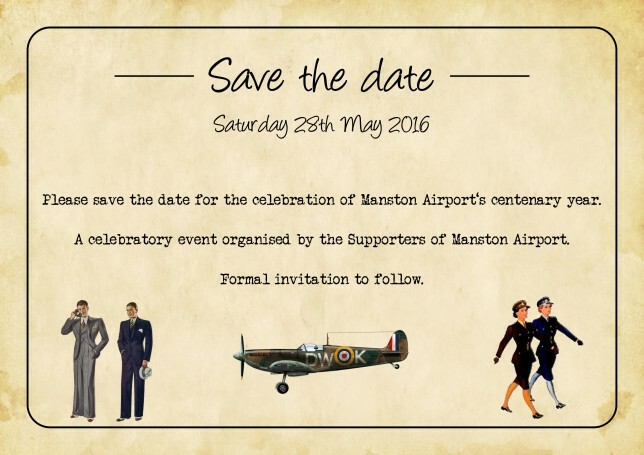 Please save the date for the celebration of Manston Airport‘s centenary year on Saturday 28th May 2016. A celebratory event organised by the Supporters of Manston Airport. We have some great surprises lined up for you all to enjoy! ← Subscribe to our latest updates!